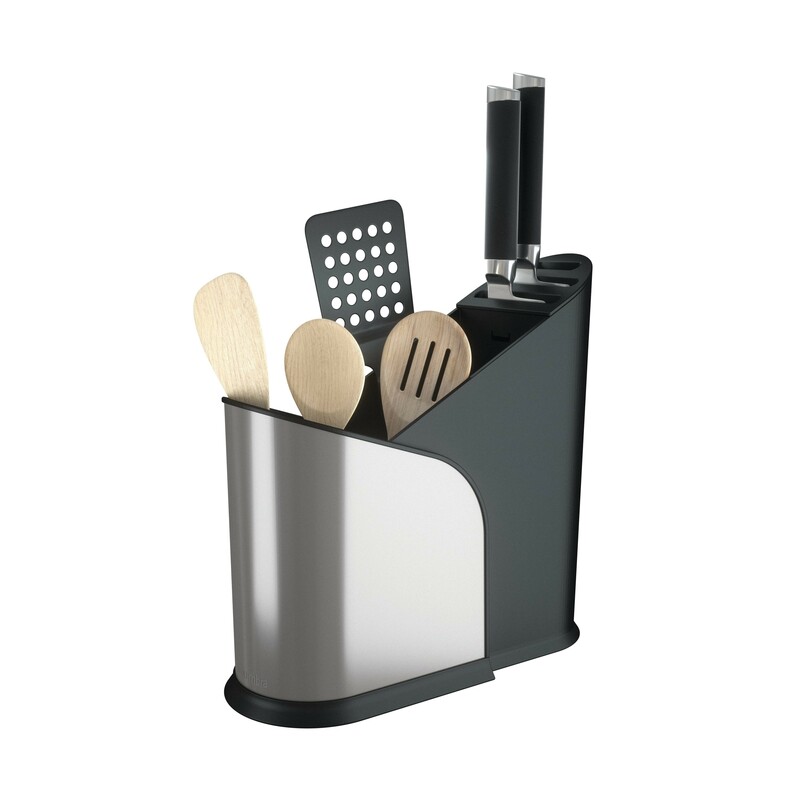 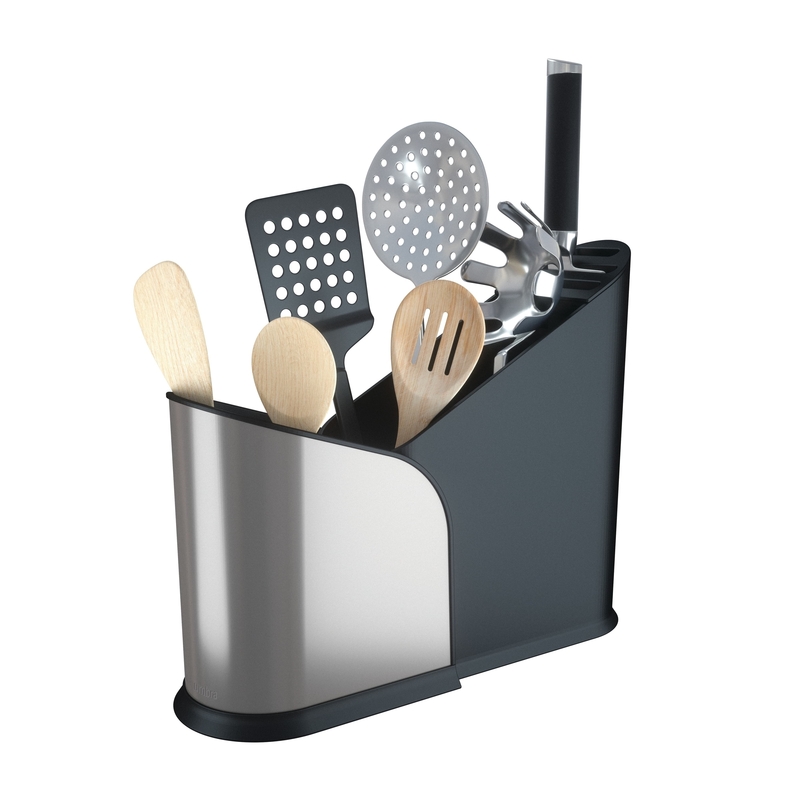 Umbra Furlo is an expandable utensil holder for your kitchen designed to offer a flexible storage space, while looking superb. 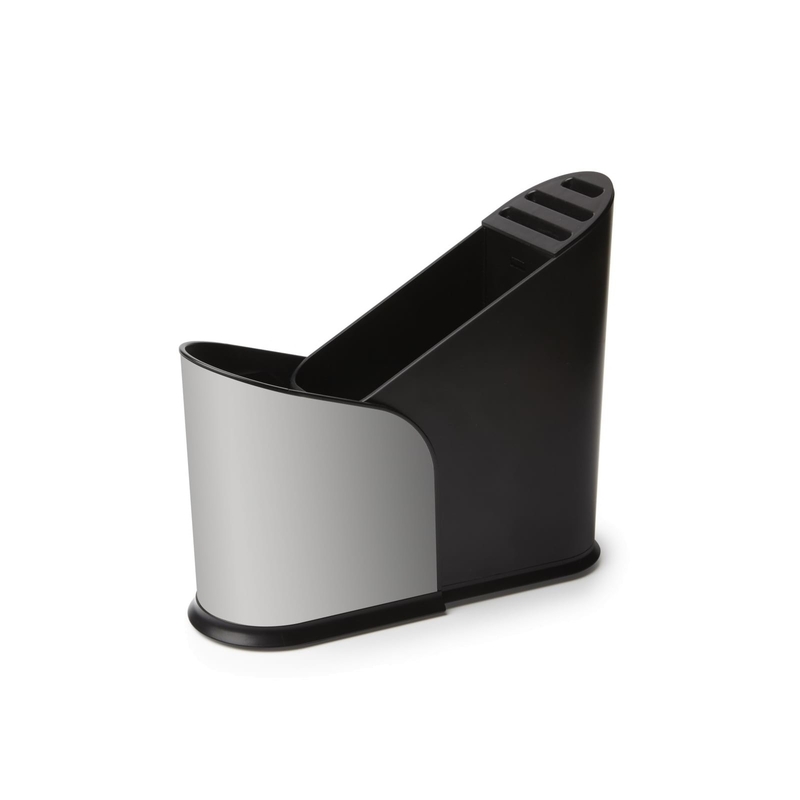 Designed by Umbra Studio. 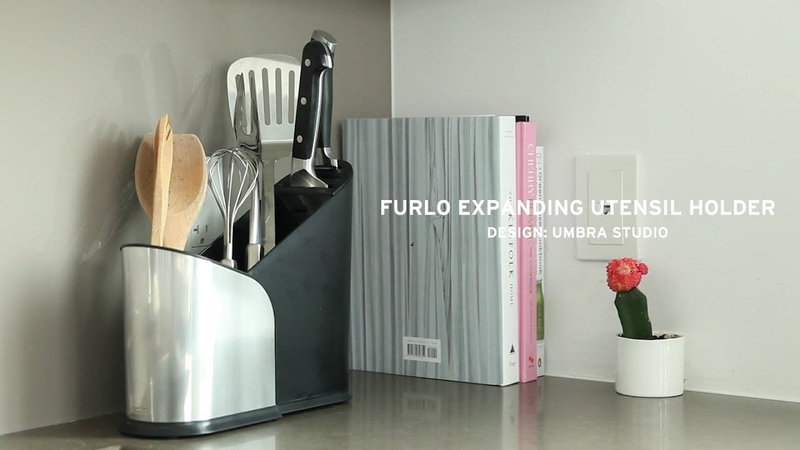 Slim, expandable utensil holder: FURLO expands and contracts to accommodate your storage needs, extending from 22 to 30 centimeters in length, while keeping a slim profile at 4 inches wide. 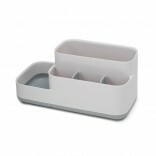 Dimensions: Height 23 cm, width 10 cm, length 22-30 cm (expandable).